Miranda Kerr announces she is pregnant with her third baby. 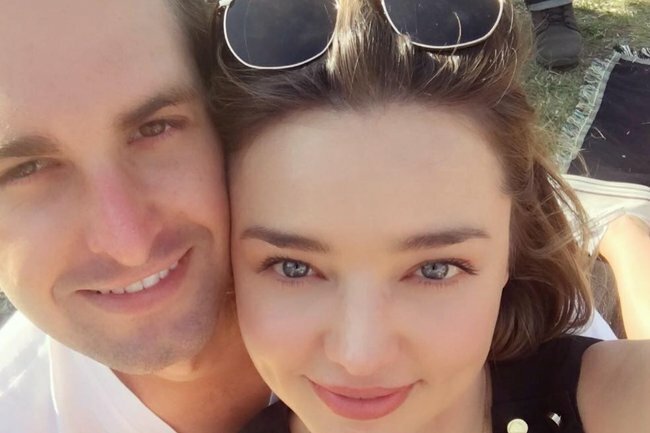 Miranda Kerr has announced her pregnancy with husband Evan Spiegel. Miranda Kerr has revealed she is pregnant with her third child with husband Evan Spiegel. The announcement comes just 10 months after the businesswoman and model gave birth to her son Hart, who was the first child for Kerr and her entrepreneur husband. 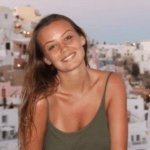 The new addition to the family will also be the little sibling of Kerr’s eight-year-old son Flynn, who she shares with her ex-husband Orlando Bloom. The Australian model and Bloom were married for three years between 2010 and 2013. Miranda Kerr with her husband, Evan Spiegel. Image via Getty. Kerr and Spiegel, who is the founder and CEO of Snapchat, married in May 2017 in the garden of their multi-million dollar Los Angeles home, after they met in 2014 when they were seated next to each other at a Louis Vuitton dinner in New York. Talking on Jimmy Kimmel Live! last year, the model recounted the couple&apos;s first meeting. "The lady next to me, Glenda Bailey, she was like, ‘I bet you two are going to get married’ and I was like, ‘What?’ I was like, ‘Woah, we haven’t even changed numbers or anything,’ and we ended up changing numbers because we both bought properties in Los Angeles," the KORA Organics skincare founder told the talk show host. In 2017, Kerr spoke to People about how their blended family works, saying "Orlando and I are literally like family, he’s like a brother to me." "It’s very weird, but we really care for each other and we have a great relationship, so I feel very lucky," she shared with the publication.